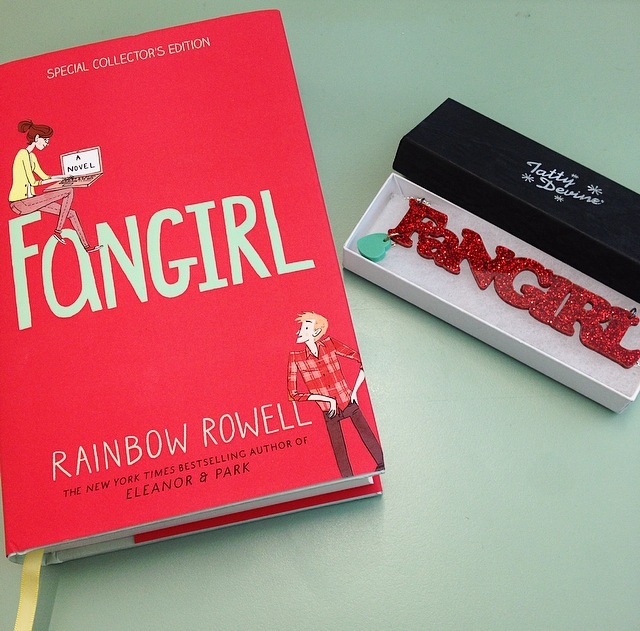 Competition: Win exclusive jewellery & a copy of Fangirl! Happy Friday everyone! We're celebrating reaching the end of the week with a very special competition. Back in June, we teamed up with author Rainbow Rowell to celebrate her UK tour with an exclusive Fangirl Necklace, inspired by the Fangirl book cover. We're very excited have a beautiful collector's edition of Fangirl and an exclusive Tatty Devine Fangirl necklace in sparkling red glitter Perspex to give away to one lucky follower. Want to be in with a chance of winning? Here's how to enter: Fangirls unite! We want to know all about your favourite fandom. Simply tweet us and tell us what you're a fangirl of. From Sherlock to Doctor Who, Ryan Gosling to The Walking Dead, we want to know all about it. Hurry, you have until 10am on Saturday 16th August to enter. We will pick a winner at random and announce the result at 11am on Twitter. Good luck!